Saving the bee — an indispensable pollinator for many crops — is one of the most pressing challenges facing agriculture today. Yet farmers are being paid government subsidies to plant crops in ways that are harmful to bees. Many US farmers have to decide whether they want to reverse the decline of bee populations through sustainable practices, or risk devastating their own livelihoods — and the future of some major food crops — through the pursuit of short-term profits. Behind this ongoing crisis in agriculture looms the specter of climate change. The key to avoiding mass extinction of species like the honey bee and preventing ecosystem collapse — suggests a UC Berkeley study — may be enhancing biodiversity in working lands: farmland, rangeland, and forests. “Sustainability is a real issue, and in order to create systems that are truly sustainable, it’s important to take care of the biodiversity that provides critical ecological services underlying sustainability,” Dr. Claire Kremen — co-author of the study, and a professor at Berkeley’s Department of Environmental Sciences, Policy, and Management — told WhoWhatWhy. Promoting diversity on working lands could be as simple as adding trees, hedgerows, or different flowering plants along the edges of fields, or as complex as using crop rotations and keeping livestock on a single farm. Farms that grow only a single crop remove biodiversity from vast amounts of land; the process degrades habitats for bees and other organisms. One sustainable practice that could make a big difference is the use of cover crops, which help to improve soil quality and enhance wildlife and pollinator habitat. Many pollinators are habitat-specific, and much pollinator habitat has been lost to agriculture, resource extraction, and urban and suburban development. Cover crops, like clover and alfalfa, provide highly nutritious food for bees. While beekeepers in the United States have been attempting to stabilize the number of honeybee colonies, it’s not a permanent solution. There are not enough habitats to allow bees to survive without the help of beekeepers. “It’s much more difficult to keep honey bees now than in the past. Beekeepers are having to work harder,” Dr. Claudia Hitaj, economist for the Conservation and Environment Branch at the Economic Research Service, told WhoWhatWhy. They often must move their honey bees around the country to service pollination contracts and secure good access to forage during summer. “Research shows that moving colonies frequently or over great distances can decrease the lifespan of honey bees,” Hitaj said. Crop farmers across Indiana have been among the first to experience benefits from sustainable farming practices, though for many it’s difficult to estimate how well those practices have paid off. Corn farmer Dan DeSutter estimated in 2016 that all his sustainable practices increased the income from his corn crop by about one-third, compared to the county average. Another example of sustainable crop-farming success is that of corn/soybean farmer Rodney Rulon. 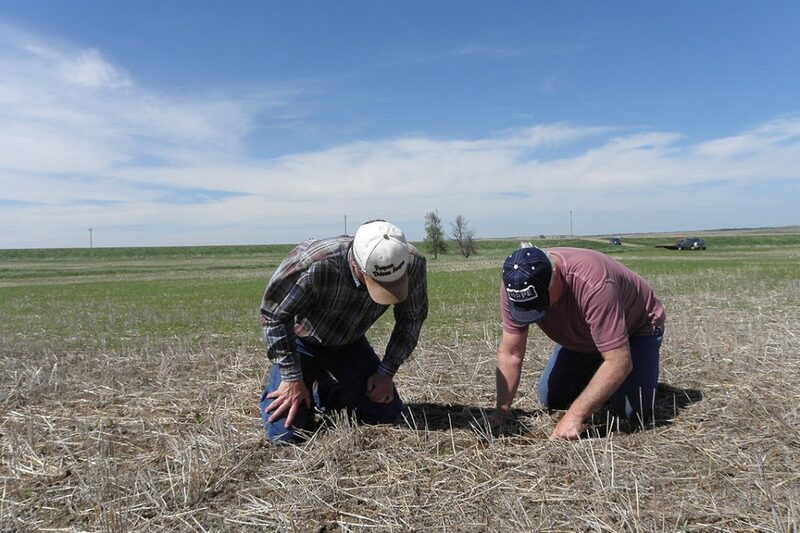 Using a combination of nutrient management, cover crops, and other conservation practices, he has improved his soil health and has seen a net return on his investment in sustainability of more than 320 percent. However, current policy pays farmers commodities to plant and grow certain kinds of crops in specific regions, and farmers often rely on government subsidies to stay in business. Some government programs, such as the Environmental Quality Incentives Program (EQIP), do cover costs that farmers face when starting sustainability practices on their land. Generally around 50 to 75 percent of costs are covered; these involve planning, design, materials, implementation, management, labor, and/or maintenance. “However, ranches with livestock can see substantial return on investments when adopting sustainability practices,” Kremen said. By increasing the variety of trees, shrubs, and grasses in some pastures, she said, cows produced four or five times as much milk, and needed far less grazing land to produce a ton of meat. 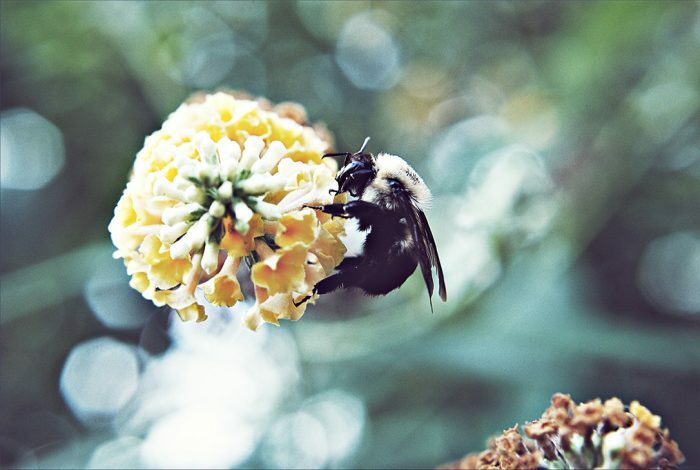 Issues such as lack of habitat and climate change continue to be major environmental stressors on honeybee populations. “One of the last refuges for good forage, that is also pesticide-free, are the Prairie Fields in North Dakota, and even that is changing,” Hitaj explained. Maintaining even small pieces of the original landscape — even a single tree — can help conserve the original diversity of species. “A strong movement within the conservation community is working to protect 50 percent of terrestrial habitat area. But that is a tall order compared to current global goals at 17 percent,” stated Kremen. While sustainability practices benefit biodiversity, more widespread use of them across the US is needed to meet environmentalist goals — but so far there are not powerful enough incentives for farmers to do so en masse, profitably.